We are passionate about food and wine at Hand Picked Hotels. Each wine on our list has been hand-picked – I taste and select them all. An outstanding collection of Bordeaux wines, from the stellar 2000 vintage, features on the Hand Picked list, representing a wine tour from Chateaux across the region and, together, give a wonderfully varied picture of the region and the quality of the wines it can produce. These were purchased en primeur and both before and since their release have been cellared in ideal conditions. These can be enjoyed alongside delicious cuisine in our fine dining restaurants, in one of our private dining rooms, for a wedding or as a pre or post-dinner drink. The wines on offer include the Left Bank appellation Chateau LArrivet-Haut-Brion, Pessac-Leognan, at £68 a bottle. The wine is an equal blend of Cabernet Sauvignon and Merlot from the vineyards owned by Christine and Philippe Gervosan, who have restored the well-regarded estate. Among the Right Bank appellations is Chateau Cissac, which can be traced back to Roman times. The 50 hectare vineyard is located just north of the town of Cissac, with vines planted on a fine gravel soil over a stratum of chalk. Chateau Cissac, Cru Bourgeois, Haut-Medoc, has a dense blackcurrant palate, which is rounded, fleshy and well-balanced, and is offered at £50 a bottle. 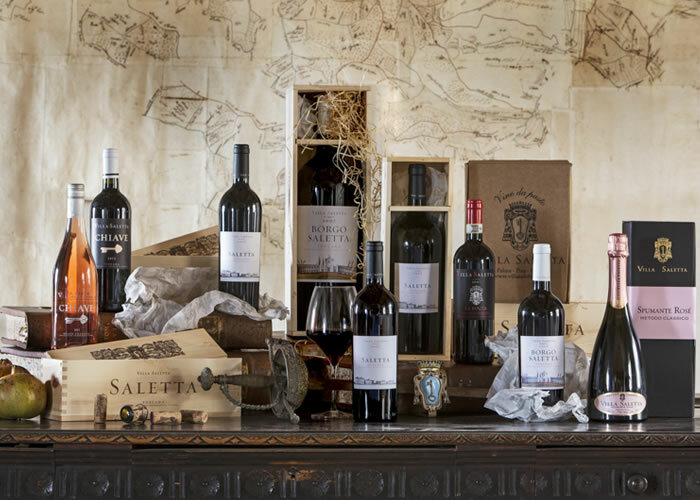 I have also introduced wine to the Hand Picked list, produced from the Villa Saletta estate in Tuscany, owned by my family. This historic estate was once owned by the Riccardi family, bankers to the Medicis of Florence. In 2002, we revived the vineyards by investing in a programme of plantings which included Merlot, Cabernet Sauvignon, Cabernet Franc and Sangiovese. Grape varieties and rootstock have been planted according to aspect, soil and site to ensure that the vines flourish to produce the best possible crop. The first vintage was in 2004, since when Raccolto a Mano – “harvested by hand” – has featured on the Hand Picked Hotels’ wine list, along with Villa Saletta Spumante, Chianti Riserva La Rocca, Villa Saletta, and Borgo Saletta Rosso Di Toscana. The Hand Picked cellars also offer a fascinating collection of wines from both the New and Old World wine regions. Excellent food, fine wines, good company and time to unwind in the splendid surroundings of our hotels are the essential ingredients for a memorable country house visit. A note to say thank you, my husband and I won a case of your Villa Saletta 2007 wine in a raffle prize from the New School at West Heath, a most enjoyable fine wine. Incidentally, I am a member of one of your Health Spas and appreciate the facilities you offer. If you think in the future to expand to Portugal I would be delighted to introduce you the great wines (special the red's) and the fantastic food from all over the Country.